Red sky at night: Sailor’s delight. Red sun in the morning: Air Advisory Warning. Okay, so that may not be exactly how the old saying goes, but in Vancouver – and much of BC’s – case it seems to be an appropriate adage as of late. While haze from the smoke continues to cause Air Advisory warnings, some Vancouverites have taken the opportunity to capture a different perspective of our sun. And while people may be fascinated by the chance to see the sun in a new light these days, a quick reminder that staring directly at the sun is never a good idea. 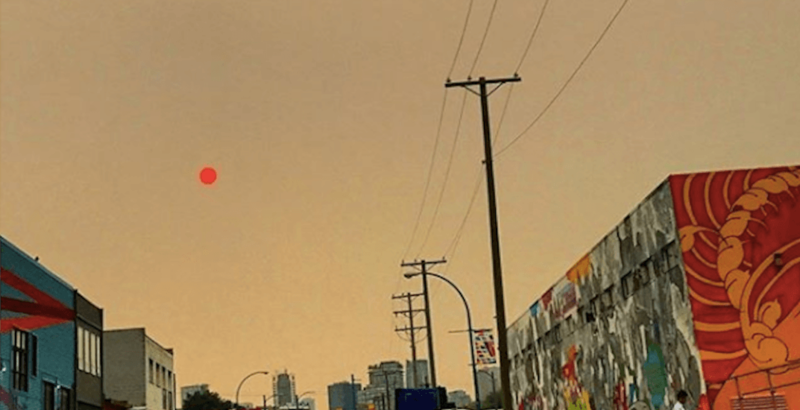 For those who want to safely view the giant orb through other people’s eyes, here are 21 photos of the smoky, red-orange sun over Vancouver.